I'm off to my happy place for a few days. I have fallen in love with this resort and lucky for me it's just a few hours drive away. I will be spending the next four days floating around the lazy river with an adult beverage or two. I have not turned my teacher/school/blog/tpt brain off since school ended in June, so I'm going to try my best to actually just relax. I'll be coming back just in time to get into school early to start setting up. What?? So, before I leave, I've dusted off this vintage post from last year for those of you who may not have seen it. See you soon! We have a meet and greet the Friday before the start of school and I hand one to each kid. There are lots of ways to present this but I like this way because it's closed up and I think it encourages the kids to really wait till Sunday night to read it. I have a little paper punch that makes two slits, but you can just as easily use a regular hole punch and tie it closed (or heck, just staple it!). The confetti in mine is in little zippered jewelry bags that I got in the craft aisle at Wal-mart. A pack comes w/100 so you can easily split it with a friend. The confetti is from there too. One bag goes a looooong way! Click here to get a free copy for your kiddies! Here it is for a Tuesday, Wednesday, Thursday or Friday start, too! I do something like this, too, Denise! Only I call it Jitter Glitter and I just put glitter in a little bag like that--so we all have it in our hair the first day of school! This is ADORABLE!! Thank you SO much for sharing- I am all over this idea for back to school night! P.S. I love how you "package" yours! I like Mrs. Miner's Monkey Business having it for Jitter Glitter, too! How cool! What sweet idea! Love it!! This is so cute! Sadly I won't see my students before the first day... but I will hang onto this for the future! Loving it!!!!! I am going to mail mine to my kiddos, I hope. What an adorable idea!! As a mommy, this just pulled at my heart strings for I know my young son would eat this up and is already starting to show some "worries" about having to move up to a new grade, teacher, and friends! Thanks for sharing! I LOVE IT! This is a great idea! I usually send my students a note before school starts but love to hand this out before school starts at the short open house the Thursday before. What about the kids that don't come to that night? Do they just miss out? Have you ever mailed them home? I loved this idea! 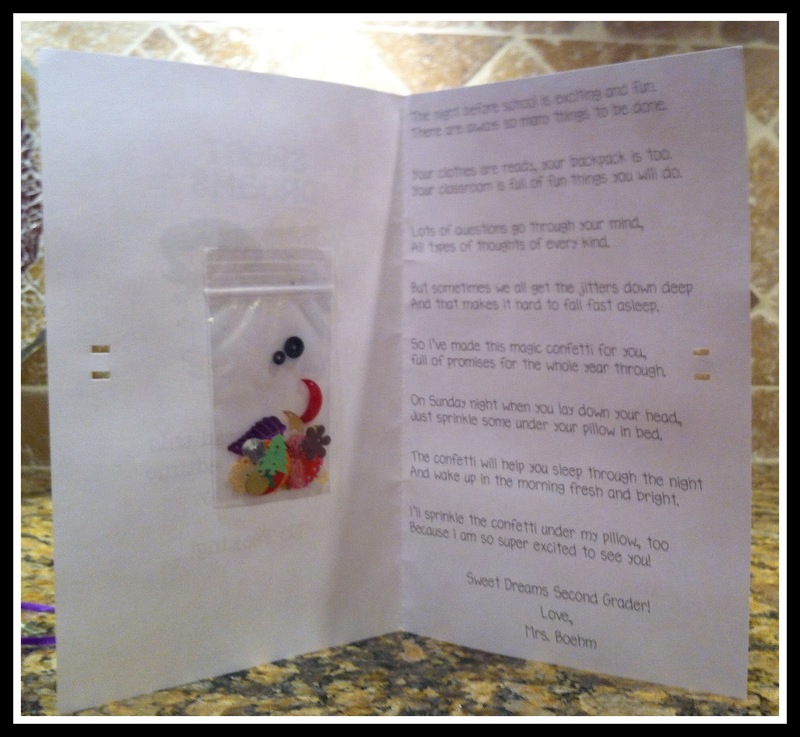 What a sweet way to help those children that may be apprehensive about school. I'm following you now and I had also run across this idea in my blog searches! I planned on stuffing stationary envelopes and handing them to each kid at our Meet the Teacher night! Thanks for linking up. I did this last year and I love it! I really like your idea of sealing it up. would it be possible to send me the word doc or file that can be edited? We dont always start on a Monday so I may need to change the day of the week on the cover. Hi everyone! So glad you all like this as much a I do!! I went ahead and added the Word doc link too in case anyone else needs to make changes. Enjoy!! I LOVE this!!!!!!!!!!!! What a great idea! Thanks for sharing! I am so excited! This may be the cutest thing I have ever seen! THANK YOU for sharing! Oh.my.goodness!!! That is just precious. I am definitely going to steal and use this year. So stinkin' cute! THANKS! This is precious! I am going to steal your idea for my third graders! Thanks for sharing! I love this! I shared it with my teaching partners and we would love to do it with our little guys, but we start school on a Thursday. Can I get a copy in word so we can change the start day on it? LOVE THIS! This is my first year and I'd love to send this home from Open House, though, I too, need to change the day. Could you e-mail me a copy as well? Thanks so much!! I'm probably missing something, but I don't see the link to the word doc. I'd like to have it for editing purposes. Look at the second to last line - click where it says "here it is in word". I love this idea. I may just use it this year. Thanks for linking up and sharing. This is darling! It will be the perfect thing to hand out at our Back-to-School night! Thank you so much! I've taught 12 years and have never seen this. It's always so fun to do something new! Thanks again! 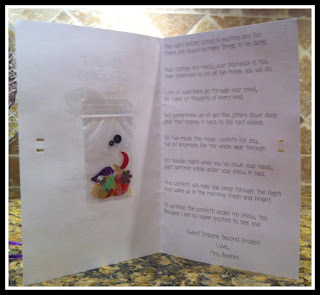 I LOVE, LOVE, LOVE this idea of the note & confetti before school starts! I couldn't edit it for our Thursday start. Could you please send it to me in word? THANK YOU SO MUCH!!! Great idea! I bet the kids love it! I know this is an old post, but I wanted to let you know that I used your template today to make ready confetti cards. Thanks for sharing! Denise- I love this idea! I used it this year with my new group of kiddos. I shared photos on my blog. I also linked your page! Thanks for the awesome idea! I love it! We are having Meet the Teacher next year for the first time. Thanks for sharing! Holy Cow that is darling!!!!! Ok now I've added an additional things to my to-do list at the beginning of school. Thanks Denise! Thanks so much for doing it for the different start days. I teach PreK and we have a staggard start schedule so this is perfect!!!!!!!!!!!!!! Thank you so much for sharing!! I LOVE this so much! Your resort reminds me of a place we stayed on the big island in Hawaii. I'm headed for the Rockies for 5 days! We've had a month of over 100 degree days, so I'm ready for wearing a sweatshirt and sitting on the patio ...while drinking wine...and not whining about the hot weather. When I get back it will be crunch time for school...kids come on Aug. 13th. Have fun on your vacay! Looks like a place you won't want to come home from! Thanks for the poem. Great idea! Are you still writing your newsletter? I haven't gotten one in a while so I wondered if I was removed from the list for some reason or if you just hadn't made one in a while. Where is this resort in your photo? I want to go! 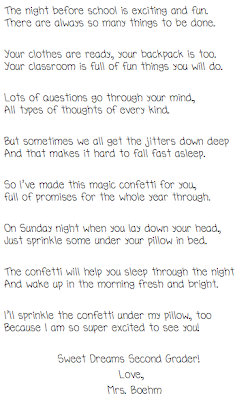 I love your confetti poem! I will have to send it to my students this year! L love this idea for my pre-k students! They come to visit me on Friday and I would love to give each one some magic confetti. I need to edit it, but would love to use your clip art. Can you send it to me in a word file. Thanks! Thanks you SO MUCH for sharing! I just got finished making my set for meet the teacher and I can't wait to hear my kiddos talk about it our first day of school! You are the best, ever! Thank you! I love this idea! My son was a little nervous at the start of school today. He would have really enjoyed this. I LOVE LOVE LOVE THIS! I would love to send it! We start on a Thursday but the Thursday link above says Wednesday. I checked the others too. Any chance you could make a Thursday pdf? I HAVE TO SEND IT!! I so love this sweet poem. Thank you so much for sharing. I am sure my students and parents will enjoy their first reading assignment. Help! I have tried downloading the Wednesday start version and I keep getting an error. Can you send it to me to via email to gripper693@msn.com? I would greatly appreciate it. Can't wait to share this with my team! We made these last year for our Firsties and they were a big hit. Thanks for sharing! Precious! What a sweet idea! I'm definitely borrowing this idea! This is adorable! I will use this come August. Just curious, what is the name of the resort? My husband and I are always looking for AWESOME swimming pool getaways!!! And this swimming pool is incredible! 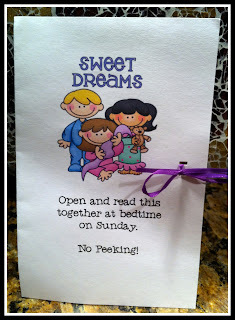 I love this idea and would like to use it this year :) I'm having trouble downloading the file. Help!? This is lovely! Is there a way I can get the clip art for this file? It doesn't seem to be showing up when I download it! So here it is 2015 and this is still the cutest thing ever! I'll be using this on meet the teacher night! Thank you ,!